By Jenny Reid, MD of iFacts. At iFacts we are very excited about a number of new solutions that we have launched over the past year and look forward to greater demand for these solutions in 2014. What may be of specific interest to the security industry and HR personnel is our new biometrics solution. 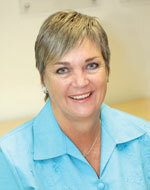 Jenny Reid, MD of iFacts. As part of our people risks services, iFacts now also offers a new biometric service – the iFactsID – a cloud-based identity management tool. The orientation process of a new employee must be thorough, not only from a security viewpoint but also to instil confidence in the new employee. Along with background, credit and criminal record checks, biometrics is an important element in managing security risks for employees. iFactsID is an online, real-time, cloud offering for biometrics, signature and ID photo enrolment and verification. All you need is a device, a workstation, and an Internet connection to begin enrolling yourself and members of your organisation. Once the initial process is completed, you will be able to prove your identity as well as that of any other enrolee from anywhere is the world. By using smart security solutions when it comes to the health of an employee, you are assured of a healthy, productive and engaged employee. Often a biometric screening includes a brief health history questionnaire, as well as checks on blood pressure, BMI index measurements, and other risk ratio checks. At all times, employees must be ensured of confidentiality. The biometric assessments may be linked to incentive or reward programmes. I believe that 2014 will be a more positive year for the security industry in South Africa. While the local economy is taking longer than hoped to gain positive momentum, things are certainly moving in the right direction and South Africa’s economy continues to grow. With that is a positive influence on all of South Africa’s industry sectors, including security. For the security industry itself, I think we can expect to see more amalgamations and mergers, not just from the private companies perspective, but I also believe that more industry associations will work more closely together, such as the recent amalgamation that took place between SASA and SSEO. We all continue to hope for more enforcement when it comes to curbing the fly-by-night security companies. We are not against industry regulation; we just sometimes feel that it is misdirected. It’s so often the law-abiding companies that feel the brunt of pressure brought about by new regulation while illegal entities continue to operate without feeling any impact. I hope that in this coming year the industry bodies and associations will have the opportunity to work more closely with the regulator to help root out the problem of non-compliance. For 2014, I wish for people to put personal issues and agendas aside and work together for the greater good of the industry. Those of us involved in the industry that have its best interests at heart need to get on the same page and work together. If we keep at loggerheads with each other, we will never solve the issue of non-compliance.